Meet Frank. He works in and around Neu Canberra, Australia, 800 years from now. 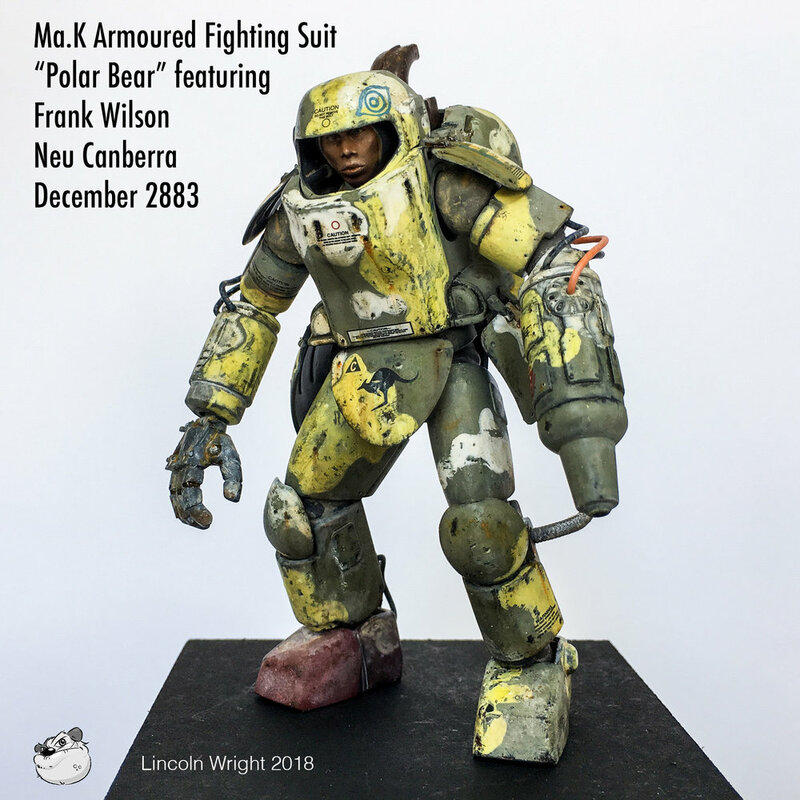 It's a cold, dry Tundra and Frank has a lonely job as a Force Recon Scout and spends quite a bit of time in his suit. Quite a bit. Plenty of miles on it too. After extensive field testing of the Big Red Boot, it was decided to discontinue it's use. Due to it being much faster than the standard issue AFS boot, the Polar Bear was forced to run in large circles. Frank could NEVER make a right turn. This is a 1/20 Plastic Scale Model from the WAVE Corporation in Japan. 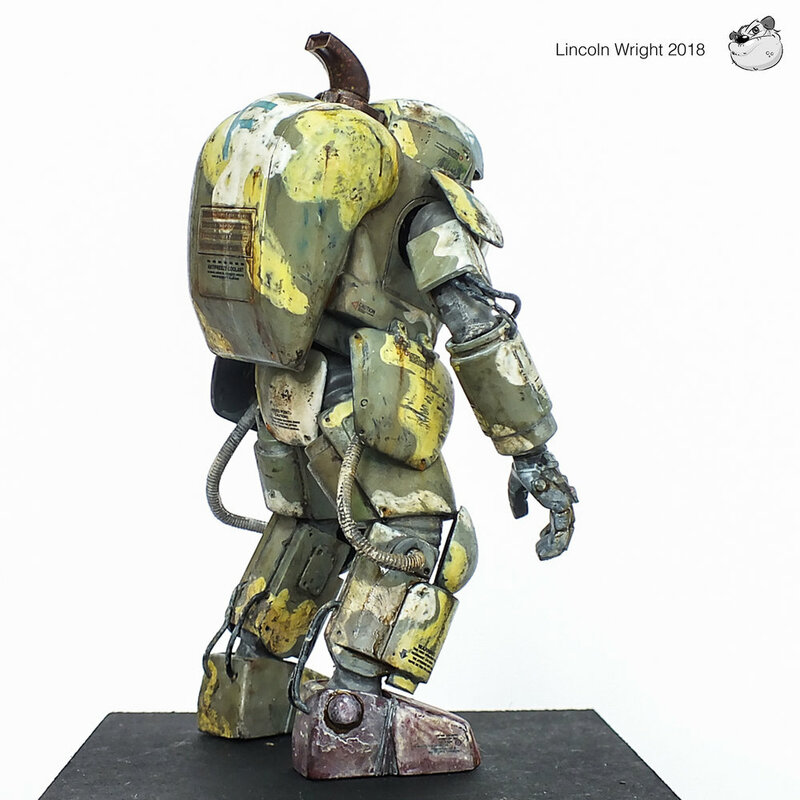 It’s from the Maschinen Krieger or Ma.K Universe, which also used to be known as S.F.3.D. from the 1980s. 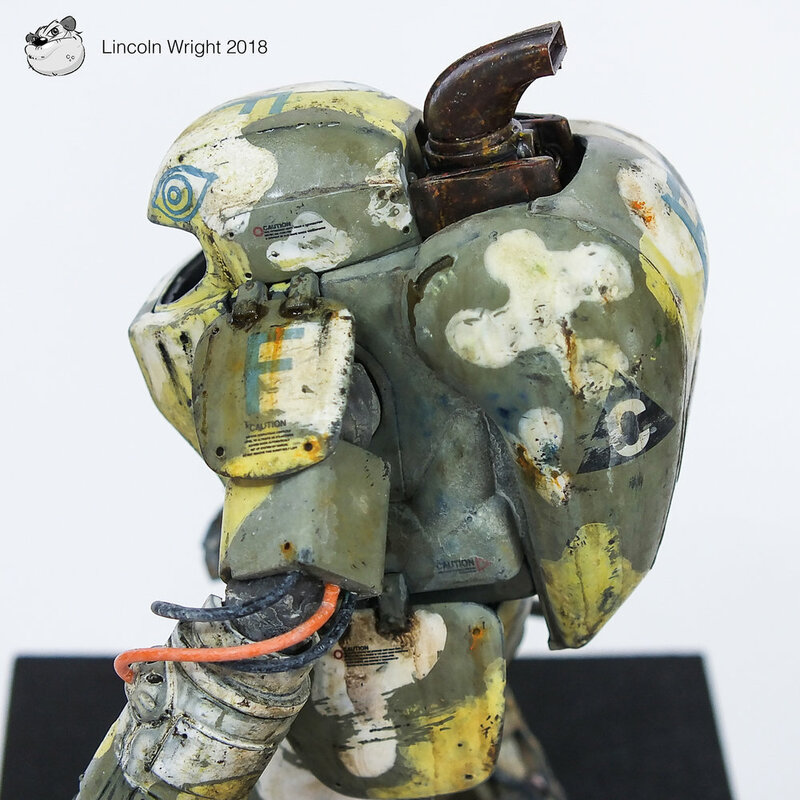 I worked as a Writer and Studio Model maker for this genre, writing many of the English back stories that appear on the boxes as well as doing many of the Display Models that feature on websites, publications and at Exhibitions in Japan. 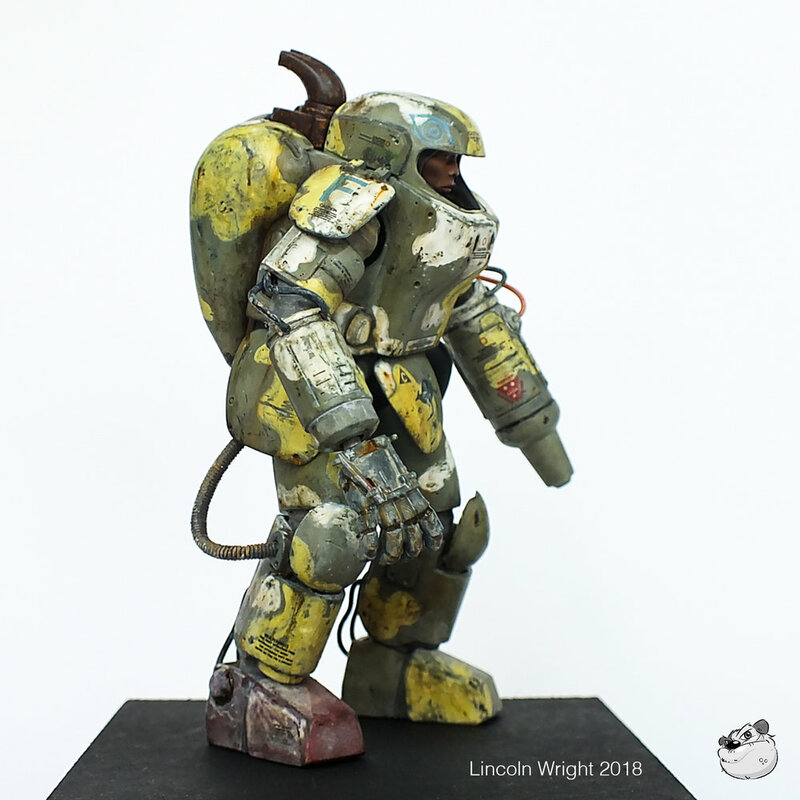 This model is 100% Hand painted, with a combination of Japanese lacquer paints and AMMO by Mig acrylics, and weathered with Tube Oil Paints. This Project is also part of a Group Build in the Paint on Plastic Facebook Group. Come and join our next Group Build - Star Wars!